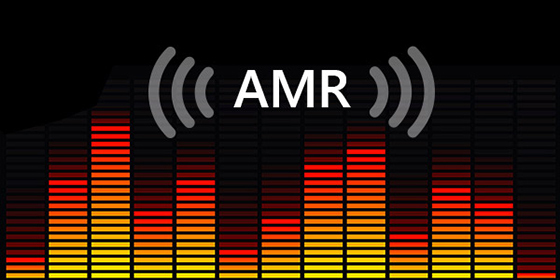 When you are using your cellular device to record sound or voice, there are chances that the recorded files will be generated in AMR format (Adaptive Multi-Rate sound codec). Never heard of it? Please read on. 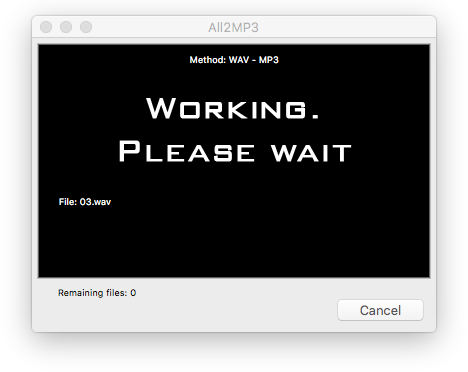 This post will focus on the information about AMR and provide you the tool if you need to convert AMR to MP3 on Mac. AMR stands for Adaptive Multi-Rate sound codec, which is firstly developed by Ericsson. Based on AMR, AMR-WB (Adaptive Multi-Rate Wideband) is developed. AMR is a codec that is widely used for speech and sound recording on 3G (third-generation) mobiles devices. It is a hybrid of speech codes to transmit speech parameters as well as waveform signals. It is also a preferred codec for GSM (Global System for Mobile Communications) standards. When you record audio via the mobile phone’s audio recorder feature, the recording has a great chance to be saved in AMR, by default. AMR has increased resistance to interference & errors. Despite all these benefits above, AMR still has one drawback that drags its usability down – compatibility. AMR is too compressed that it can’t be used by other media player apps on your Mac, like iTunes; popular devices like iPad and iPhone can’t recognize it either. No matter how much space it spares you, you have to convert it to a more acceptable format like MP3, for easier sharing with friends or posting on your social account. 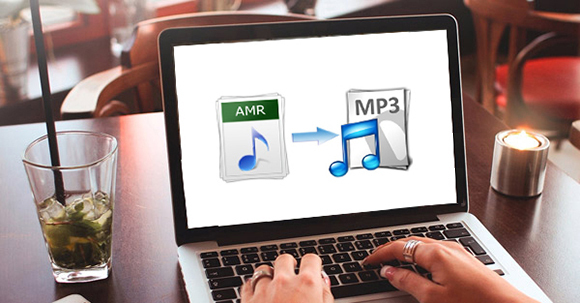 There are many online and offline tools to convert AMR to MP3 for PC users but Mac users may have to buy an application to do the AMR to MP3 conversion job. Forget about those paid app because continue to read and you will get a completely free solution on how to convert AMR to MP3 on Mac. All2MP3 for Mac is the most famous media-to-MP3 converter on Mac OS, which has been used by millions of users for years. Its greatest feature is to convert almost source media files in any formats to MP3, including audio formats like AMR, WAV, WMA, AAC, M4A, M4B, OGG, FLAC, ALAC, etc. and video formats like MP4, AVI, WMV, MKV, FLV, 4K, etc. 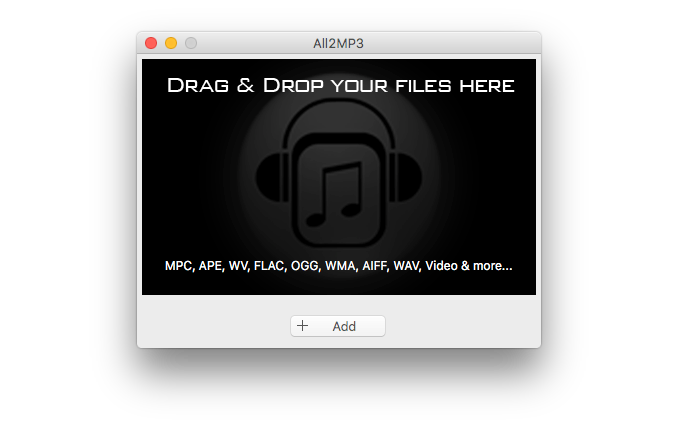 Working as an AMR to MP3 converter on Mac is a part of ALL2MP3 for Mac’s duties. Why should you choose All2MP3 for Mac instead of other similar products? It is the easiest for both inexperienced and pros. It is the fastest and can handle large size files. It can batch convert audio to MP3. Output quality and output location can be adjusted. It is 100% free without any adware or hidden cost. Click the above download button to get All2MP3 for Mac downloaded first, then launch and install it. Drag the AMR files to the program window. Then you will see a new window with several options: “Quality” is to choose quality level; “Change all Paths” is to choose output folder; “Reset” is to restore your settings; “Add” is to input more files; “Trash files after conversion” is to delete source files after conversion. After that, a simple click of “Convert” button will get the process started. 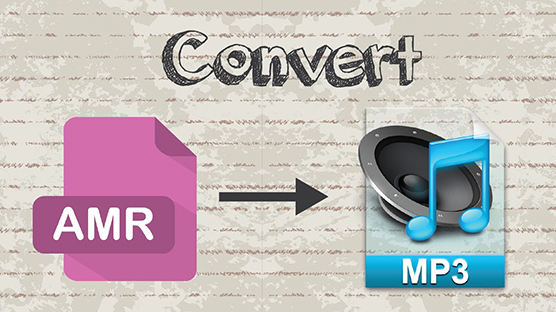 When you need to convert a small AMR file immediately instead of searching, downloading and installing software, using online audio converter can be a good option. But you need to notice that some of the online converters do not support AMR format. Google “online audio converter” and look for the service that fits your need. Usually you need to upload the AMR file, choose the format you want, and start conversion. Then, wait for their server to process the audio conversion and finally, hit the download link they offer to download the converted files in the target format. It is not an efficient way to batch convert files or convert heavy-sized files; it also has many limitations in files size, length, etc. So, we recommend you install All2MP3 for Mac to solve the problem once and for all.